Deltek Costpoint is an enterprise resource planning (ERP) accounting software that is designed for government contractors. It enables users to manage project accounting, labor, manufacturing, business intelligence, and more. In this article, we cover Deltek Costpoint reviews and pricing. Ready to get started? Visit its website. Users who gave positive Deltek Costpoint reviews commended its ability to let them easily track employee attendance, integrate the program with other apps, and perform accounting tasks. They also mentioned helpful features such as expense monitoring, profit analysis, and report generation. One user who gave Deltek Costpoint a positive review on G2 Crowd said that it allows him to efficiently centralize his daily management processes. He mentioned that its tools for time and attendance tracking, data analysis, and customization provide him with a streamlined approach in pooling business information. 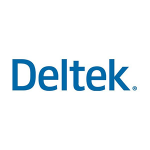 Users who gave negative Deltek Costpoint reviews complained about delays in its data synchronization, stability issues, and its steep learning curve. Some users also complained about Deltek Costpoint pricing, which isn’t very adaptable to government contractor businesses. One user who gave Deltek Costpoint a negative review on G2 Crowd wished for a more simplified interface so that new users can quickly learn how to use the program. He also said that its cloud-based synchronization isn’t as seamless as he expected. Deltek Costpoint pricing is not readily available on its website. However, according to a third-party site, estimate pricing ranges from $0 to $46+/user/month. The main difference between the plans is access to premium features such as advanced accounting and finance modules, resource planning, revenue calculations, data control and automation, and payroll support. Ready to get started with Deltek Costpoint? Visit its website. 6 Best Nonprofit Accounting Software 2018 – A nonprofit organization needs an affordable small business accounting software to manage donor contributions and expenses as well as generate detailed reports. In this guide, we shared our top recommendations based on donor management, forecasting, budgeting, and reporting features. What business types can benefit from Deltek Costpoint? Deltek Costpoint caters to the following businesses: accounting, aerospace, defense, energy, oil, gas, government contracting, IT consulting, nonprofit organizations, architecture, engineering, construction, healthcare, research, and more. How does Deltek Costpoint help users gauge the financial status of a project? Deltek Costpoint provides users with comprehensive tools to help them generate reports and data analysis for milestone invoicing, labor utilization, project completion rate, revenue forecasting, accounts receivable aging, and more. It also enables them to control costs and manage audit controls. Have you read these Deltek Costpoint reviews and are still not sure if it’s the right fit for you? Read our reviews of all top nonprofit software or check out one of these three Deltek Costpoint competitors.